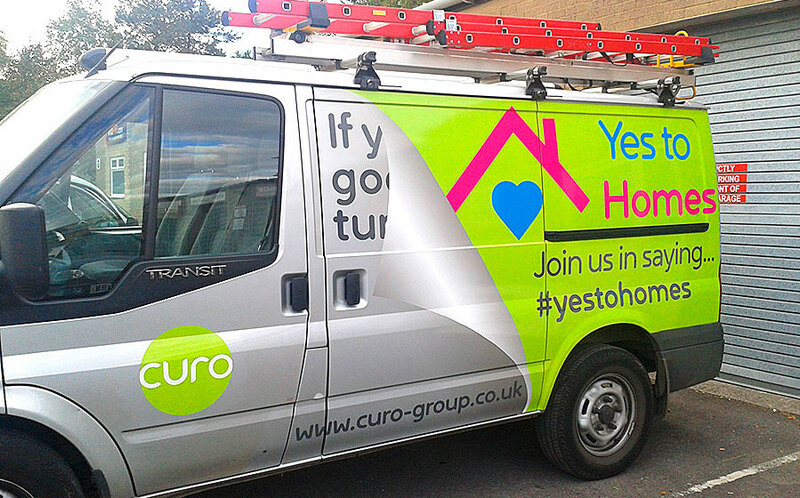 Having undertook livery of Curo’s fleet of vans in 2012. We were asked to undertake relivery of this vehicle in order to show case a new service they were offering . The aim was to turn an already lettered van into one with a peel back effect along each side. There were many challenges here and a combination of printed effects was required to achieve the necessary shadowing, high lights and complete coverage effect required. Added to this we also had to produce all printed materials to exact dimensions of the vehicle body panels in order that it would give the illusion required. The impact of the end result was more than worth the effort as it certainly turned heads and therefore achieved its primary goal.